I’m posting here at a breakneck pace. I apologize if I’m moving too quickly for you to keep up. We now move on to the next portion of our trip, still keeping with the mountain people up in the Nevada City/Grass Valley region. 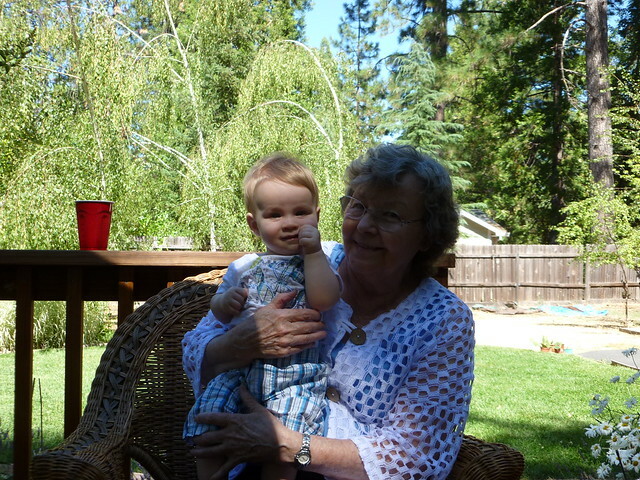 Gabe got a chance to spend some time with his great grandma Betty. And yes, he’s going to look at those shorts in twenty years and ask us what the heck we were dressing him in. Can you please focus? We’re talking about spending time with grandma here. Let me bring you back to the present with another photo of the two of them, this one in a more natural setting with worse lighting. 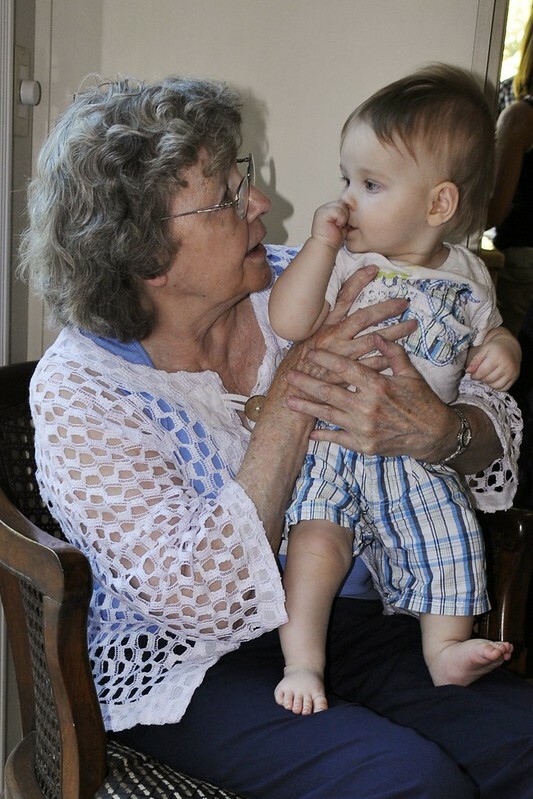 Gabe wasn’t the only one who benefited from seeing great grandma. 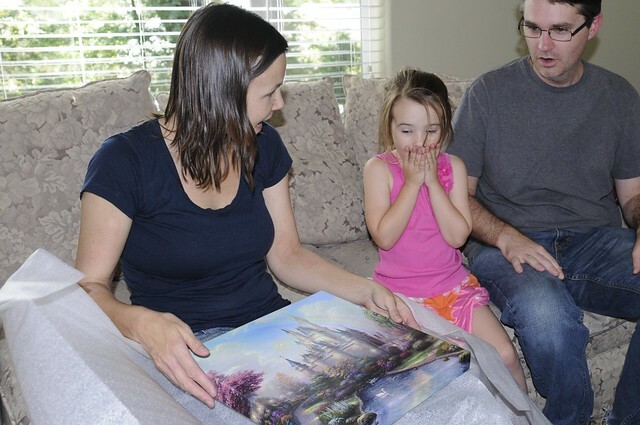 She also gave Abigail two paintings for her wall. I’ll let you take a look at Abigail’s reaction and see if you can determine whether she liked them or not. 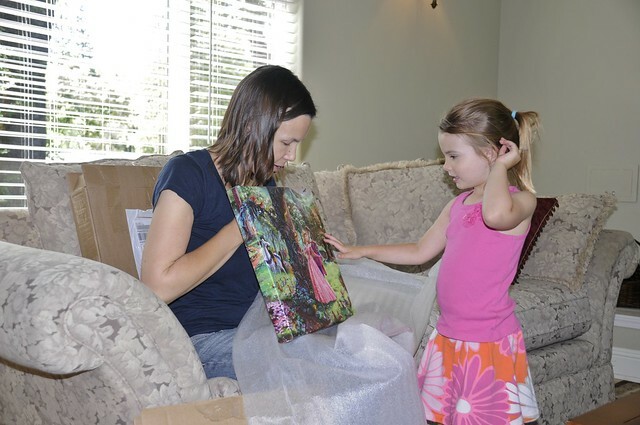 And here she is admiring the other one. Both pictures now grace the wall over her bed. We made sure to hit a favorite Nevada City breakfast spot before we left town, the South Pine Cafe. 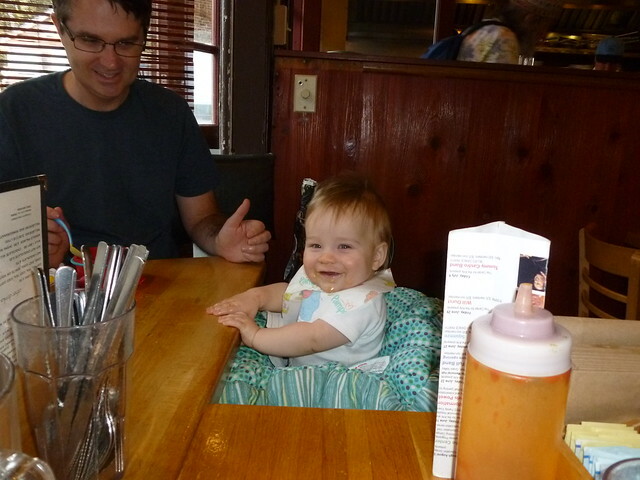 Gabe was a big fan of the place, although his meal was strictly BYO. 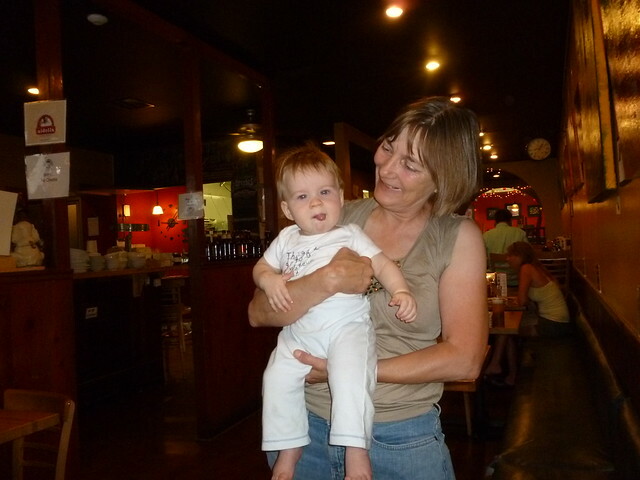 Aunt Deb got to spend a little extra time with Gabe out at breakfast. While it might appear that he had mixed feelings about the whole thing, I assure you he had a great time. I end up in this position a lot. 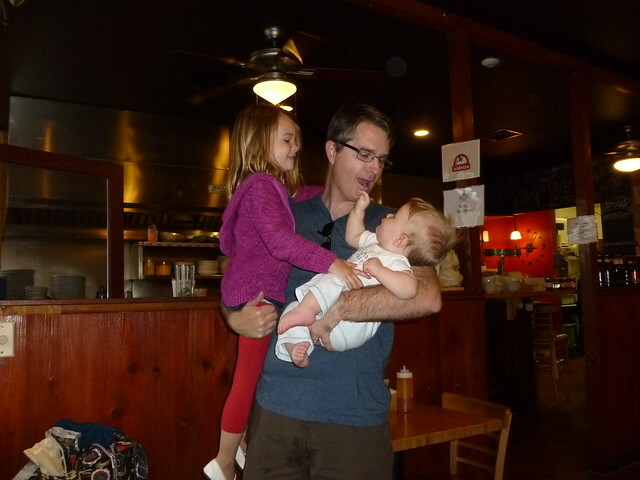 Abigail demands that I carry her and Gabe all the time. It’s much easier than it looks, provided they both sit still. Which, in reality, means that this is often much harder than it looks. From here we headed coastal. This entry was posted in Abigailia, Gabriality and tagged Relativity, Travel. Bookmark the permalink.